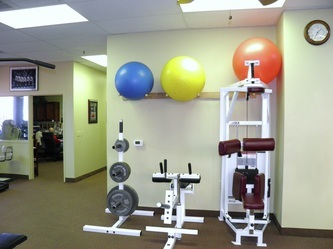 If this is your first experience with physical therapy, you can expect nothing but the best from USA Physical Therapy. We guarantee a smooth process when you call or e-mail to set up your initial visit. In fact, we will do all the insurance verification and authorization for you. We can usually get you scheduled for an initial evaluation within 24 hours. Arizona is a "direct access" state. This means that you don't have to see a doctor before you see us. However, some insurance plans require a doctor's referral. Feel free to call us at (480) 892-2121 to see if your plan requires a referral. What to Bring: Please bring your insurance card, the referral form/prescription from your doctor for physical therapy (or referring doctor's information), and any X-ray or MRI reports (no need to bring films or pictures) if you have them. What to Wear: It is best to wear loose-fitting clothing or workout clothes. The therapist will need to easily reach your injured body part (i.e. if you have knee pain, don't come in with tight-fitting jeans). Please wear tennis shoes or other supportive shoes. Time Considerations: The initial visit is typically 1 1/2 hours for a thorough evaluation, while each additional visit is usually about 1 hour long. If you ever need to get out early for any reason, let us know and we will be happy to accomodate your needs. 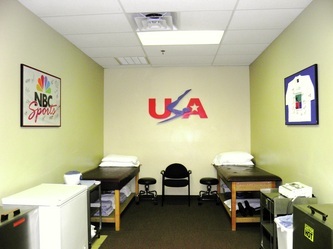 When you walk into USA PT, you can't help but get the feeling you have been there before. It's not the autographed posters on the wall or the treats waiting at the front desk that give you this feeling of deja vu. It's the way you are greeted by the staff as you enter our little establishment. 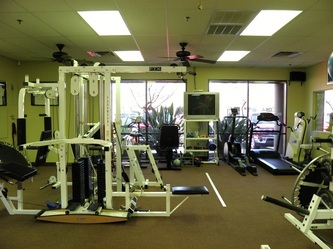 It's a laughing atmosphere; we are very personal, not like the physical therapy mills. As you walk in our door, you will be greeted first by our office manager. She will get you checked in and situated quickly with the necessary paperwork that you can conveniently find and print off on this website under New Patient Forms if you would like to further expedite the process. You don't have to plan for an excessive wait; once you are done with the paperwork, we will get you started within 5 minutes at the very most! You will then be introduced to one of our excellent therapists who will throroughly evaluate your injury and set you up with the best treatment plan (i.e., the proper modalities, stretches, and exercises to best treat your specific problem). After spending one-on-one time talking with the therapist and learning the "game plan" for the most effective rehab for you, the therapist and a technician will teach you tailored stretches and exercises using state of the art equipment. 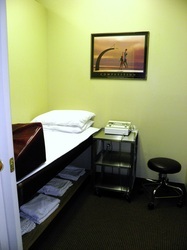 We will do our best to make you feel comfortable as you are healing (or working your buns off!). 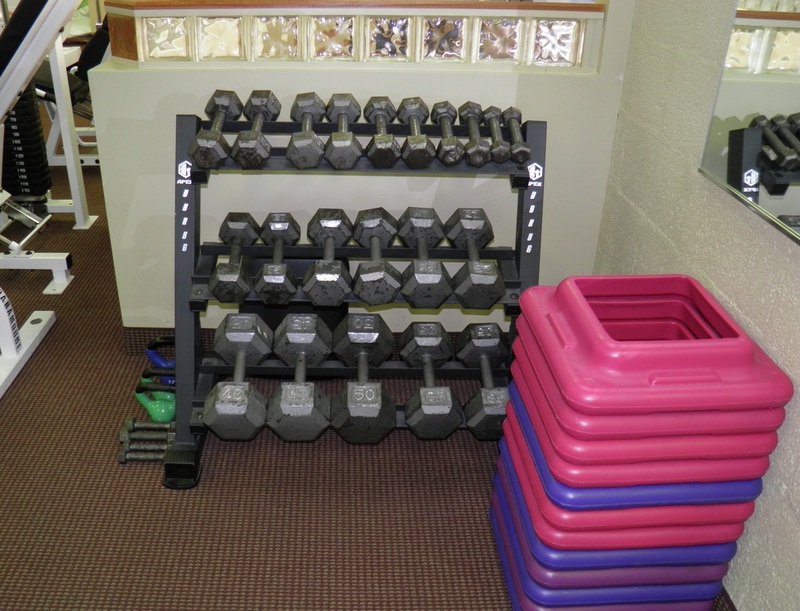 As you progress, so will your exercises and modalities. You will then be provided with a home exercise program to reinforce what you have learned and maximize your recovery. 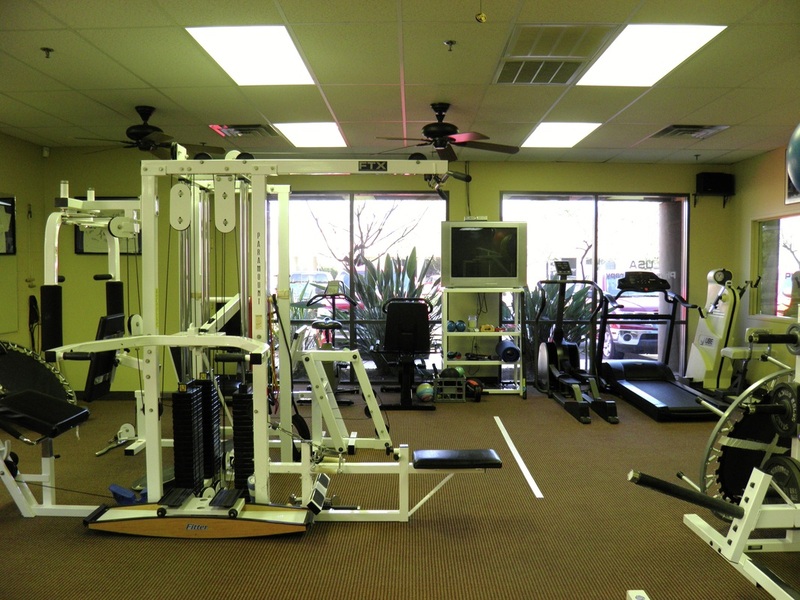 Our facility will do its best to fix your problem and then enable you to prevent it from reoccuring! Your referring physician can expect an initial evaluation report faxed to them within a week outlining our findings and your plan of care. We realize that the best way to get you back to your old self is working hand-in-hand with your doctor and maintaining a high level of communication. 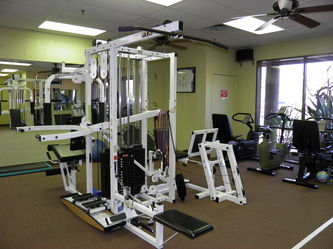 If a home e-stim or traction unit may be beneficial in your recovery, we are able to consult your doctor and provide you with these items if he or she feels it would be beneficial. We continue to send out regular reports to your doctor so he or she knows how you are progressing. 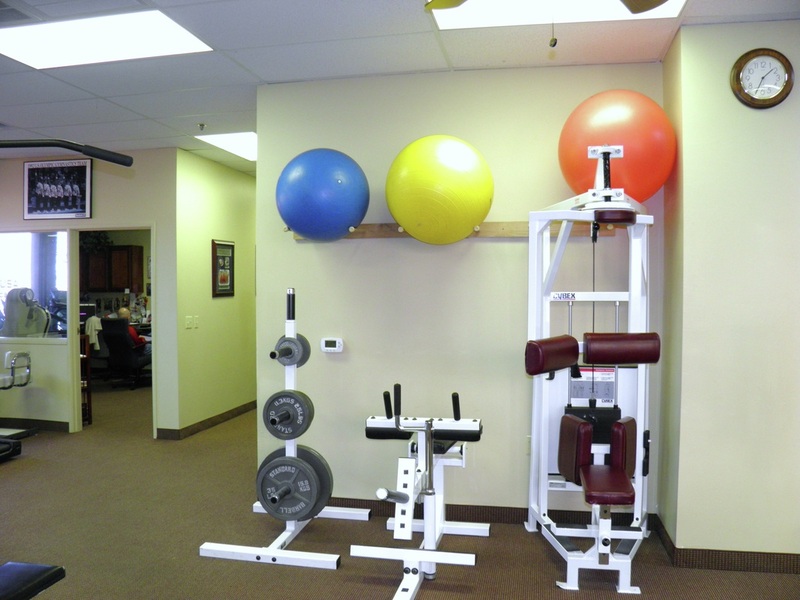 Our front office staff will do all in their power to ensure that your physical therapy visits are approved and covered by your insurance so you don't get stuck with an unexpected bill. If you ever have any questions regarding your coverage at any time, we are here to serve you, so feel free to ask! We are all about openness and communication. 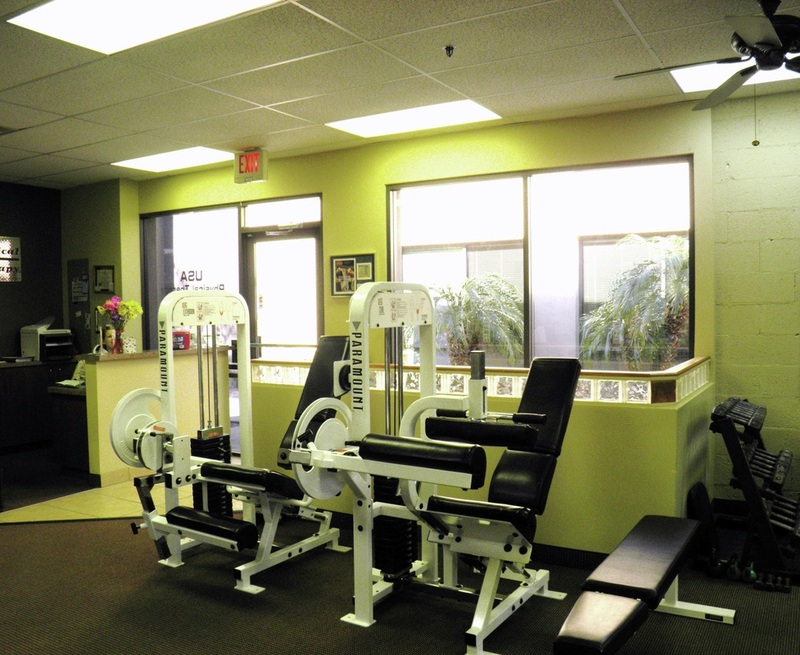 Let us know if you ever have any concerns or questions about your rehabilitation. 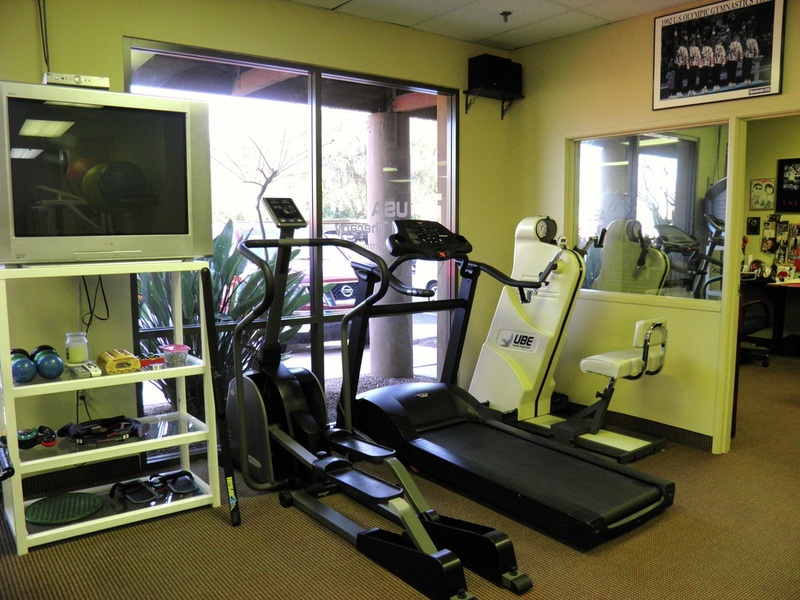 Upon discharge, you will get an updated home exercise program, and your doctor will get a discharge report. 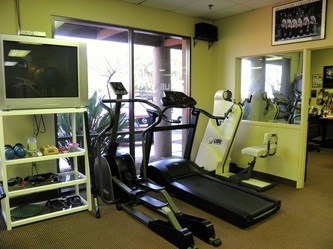 Your time is a valuable thing to us; we will work our hardest to get you well and discharged as soon as possible!